There is currently just the 1 ferry route running between Russia and Sweden operated by 1 ferry company – St Peter Line. The St Petersburg to Stockholm ferry crossing operates weekly with a scheduled sailing duration from about 39 hours 30 minutes. Whilst we’ve taken great care to ensure the information on this page is correct, as the frequency and duration of crossings on all routes can vary from time to time we’d advise that you get a live quote for current availability on this Russia Sweden crossing between St Petersburg and Stockholm. Russia, the largest country in the world, is a sovereign state in northern Eurasia stretching across the entirety of northern Asia and most of Eastern Europe. 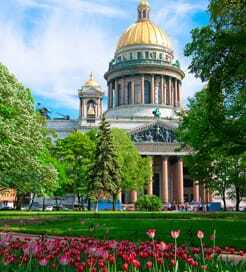 As you would expect from a country measuring 17,125,200-square-kilometres, Russia has an enormous variety of landscapes and highlights including 23 UNESCO World Heritage Sites and a fascinating cultural heritage. The European region in the west boasts ancient walled fortresses, majestic palaces, most notably in the capital, Moscow, with its famous Red Square and St Basil’s Cathedral. On the other hand, the more rural areas are dotted with attractive cottages and historical towns. Given the country’s sheer size, Russia offers ferry routes to a wide range of international destinations. 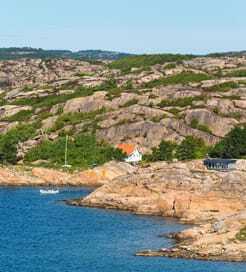 From the west, you can sail to northern Europe and Scandinavia, whilst in the east, there are ferry routes provided to East Asia.